On July 4, 2017, Mike Calhoun was called to be the Senior Pastor of Pruitt Baptist church. 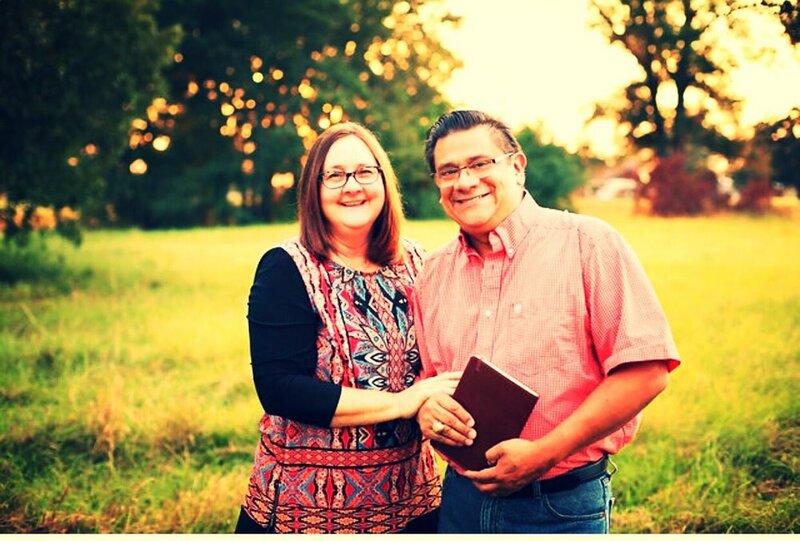 Mike has been pastoring churches in Oklahoma and Texas for almost thirty years. He and his wife Brenda have three children. Their daughter Elizabeth and her husband Cole Davis have two children--4 year old Ellis and 2 year old Eli. Their son Joseph Michael and his wife Lakyn have a son Atticus. Their daughter Megan and her husband Bro. Judd Jackson. I have attended Pruitt Baptist Church since early in my childhood (my parents made me). I attended the Van schools where I graduated (still disputed) in 1984. I served in the United States Air Force as a fighter aircraft weapons systems technician (good background for youth ministry). I have been married to my lovely bride, Kriss, for twenty-one years and wonder when the honeymoon will end. Together we have raised six children (Kriss did most of the work). In 1972 (that does not mean that I’m old), I met my Lord and Savior Jesus Christ. I surrendered my life to ministry in 2003 and was called to Pruitt Baptist Church to serve in full-time youth ministry (herding cats) in 2006. My name is Jamie Stanford and I am blessed with the privilege of serving as the Director of Children’s Ministry at Pruitt Baptist Church. My family and I are so thankful to be part of such a wonderful church with so many amazing and loving people. I feel extremely blessed to be nurturing these new disciples! Children are so precious and I’m reminded that we should protect and defend them in every way and I stand firm on the rock solid foundation that Jesus is the answer. -Psalm 127: 3-5 Children are a heritage from the LORD. Offspring a reward from him. Like arrows in the hands of a warrior are children born in ones youth. Blessed is the man whose quiver is full of them. They will not be put to shame when they contend with their opponents in court. -Proverbs 22:6 Start children off in the way they should go, and even when they are old they will not turn from it. -Mark 10:16 And he took the children in his arms, placed his hands on them and blessed them. I am Christi Larkin Peden, I was born and raised in Waxahachie, Texas where I graduated from Waxahachie High School in 1982. I then attended Tyler Junior College where I met my husband Andy Peden. We married in 1996 and I have been a member and attended Pruitt Baptist Church since that time. We have 5 daughters all of whom are members and grew up and attended PBC. Early on while attending PBC I met and befriended Diane Lynch McCawley who was the Nursery Coordinator at the time. Unfortunately, she was taken from us in a tragic car accident on February 28, 2003. A short time later in 2003 I could no longer fight the tremendous calling that God had placed on my heart. I surrendered to his calling and became and have remained the Nursery Coordinator. It has been a blessing to me and my family every since, as I know this is where God wants me to be to best serve Him. I grew up in Mesquite and moved to Van after meeting my husband Ronnie on a blind date in March of 96' and marrying him four months later! It was Ronnie, who was instrumental for me coming to know Christ. My heart busted wide-open and I asked Jesus to be my Lord and Savior in May of that same year. My hobbies are hanging out with Ronnie, our kids and grandkids. I love my ministry here at Pruitt and I've been on staff nineteen years.